How to connect and work with the camera wifi? The Vuze XR Camera App allows you to control, preview, and download captured media remotely from the camera using your mobile device. 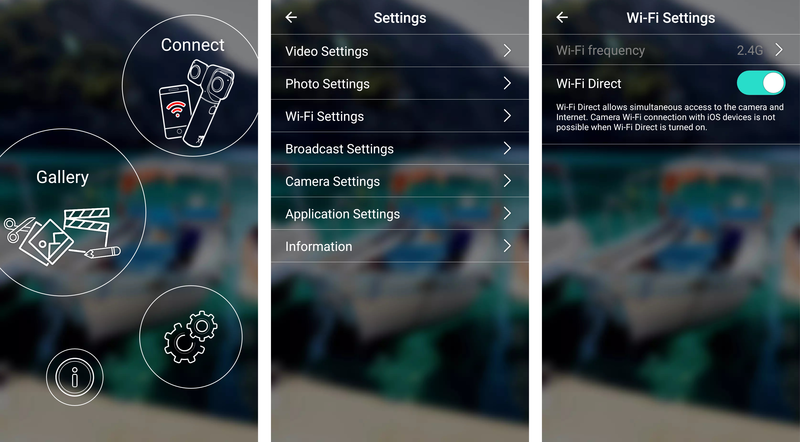 The camera connects to your mobile device through wifi emitted from the camera. You can download the Vuze XR Camera App from Google Play or Apple Store. To turn the wifi signal On\Off press once on the wifi button, located above the power button on the camera, and wait for it to be ready. The button indicator light will blink white while ready to connect, turn Off completely while not working, and turn solid white while connected to a camera. NOTE: The camera wifi was not designed to connect to any other wifi signal like your home router or computer. Make sure the camera’s wifi is On or turn it On by pressing the wifi button once. 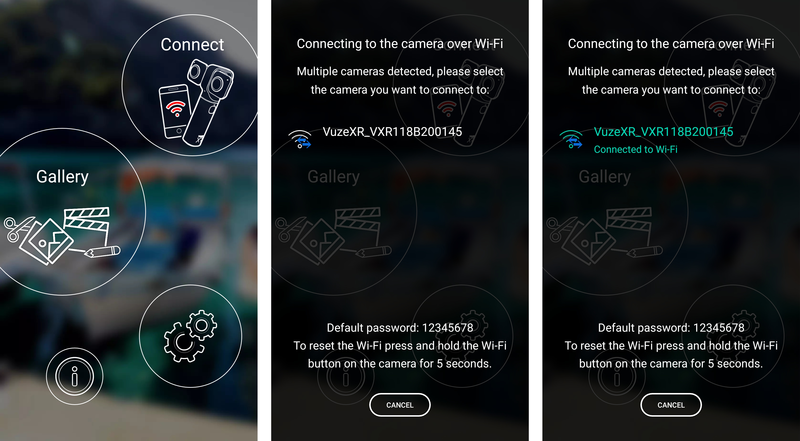 Start the Vuze XR Camera App and choose “Connect”. The Vuze VR App will list available Vuze XR cameras and connect to the selected one. Operate the camera via the Vuze XR Camera App. 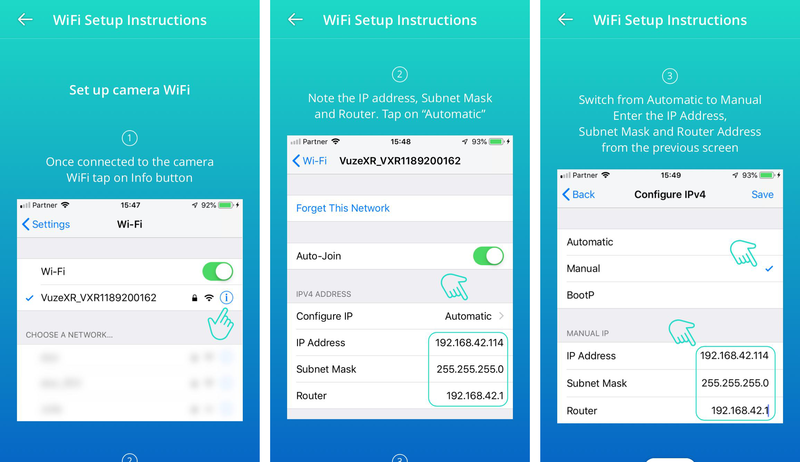 Your camera’s wifi SSID (name) is the camera Serial Number, which appears on the bottom of the camera (starts with “VXR” and followed by a 10 digit number). The default password for your wifi is 12345678. You can reset the camera wifi settings by pressing the wifi button for about 5 seconds, while the wifi is Off, until a long beep is heard. Wifi Direct allows for simultaneous access to the camera and internet. Camera wifi connection with iOS based devices is not possible while Wifi Direct is turned On. To enable Wifi Direct through the mobile app go to Settings (cogs icon) > Wi-Fi Settings > Switch Wi-Fi Direct On\Off.